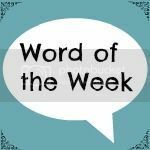 This week my word became apparent part-way through the week and then it set the tone for the rest of the week too, and it's been no bad thing, that's because my word this week is determined. Sunday saw MOH compete in the Cancer Research London Winter Run. A 10k run along Embankment up to the Tower of London, back past St Paul's and finishing pretty much where they started opposite the London Eye. Despite the odd niggling injury he was determined to finish the race, and he did with a fab time of 56 minutes. The result of being out there supporting him though has meant a cold for me, which I'm determined to shake off as I definitely want to avoid it lingering on. I'm pretty sure the Hot Toddy approach is working for me. Incase you're suffering too I'm finding that 50g Whisky, 2 tsp Honey, 100g of hot tap water and a 1cm slice of lemon (cut in half) microwaved for a minute is perfect for an early evening pick-me-up. It's a bit decadent to hit the Whisky so early on (and yes I know it's odd to weigh it) but despite a brief relapse yesterday, overall I think it's working so I'm sticking with it! This week I've also realised just how long six hours is. Well, I actually mean six hours dancing with Team Honk and that's made me realise I'll need to sort out and fit in some training or extra activity at least and most probably sans alcohol which is normally a key feature in any prolonged dancing. It's also made me determined to raise as much sponsorship as I can, especially now that Team Honk have their own dance move called The Honk, what else? PS It's not too late to join Team Honk - sign up here!